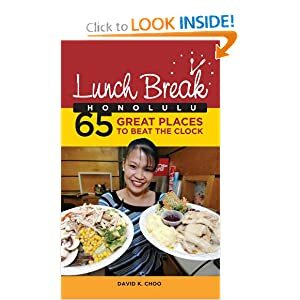 So I never really ate a loco moco growing up in Hawaii because it just seemed like a cholesterol killer with all the starch and the protein-plus from the beef and egg. Also, I never took afternoon naps and undoubtedly a nap is required if you ate a whole bowl of loco moco. Still, recently I was thinking of a loco moco (I think it was the extra eggs and ground meat I had), and thought I could make it even more loco if I replaced the brown gravy with curry. In a saucepan, warm vegetable oil over medium high heat and then add the onion. Saute until translucent, about 3-5 minutes. Then add curry powder and cook for about a minute. Add the broth and bring to a boil and add your frozen vegetables and ginger. In a small bowl or cup, add a bit of water to your cornstarch to create a slurry and then slowly add to your curry to help thicken it. (You can do the trick with flour if you’re more familiar with using flour as a thickener. You just want your curry to be thick like gravy.) Season with salt if needed. When you’re done, pour some of the curry vegetables over your loco moco and finish it off with some garnish like pickled ginger or I used shredded nori (dried seaweed). Even though I never had a loco moco before, this curry version was soooo satisfying and really made me feel like home. Enjoy!